A big thank you to Simon Pomeroy of Pallatrax, not only for taking the time to speak to us, but also for his & Tini’s involvement in Series 2 of Fishing in the Footsteps. We love working with people who are truly passionate about fishing and who are in the industry for the right reasons – it’s through spending time with them that we can be reassured that our great sport does have a positive future. Most anglers would love to be able to call themselves ‘professional’. How did you manage it? Fate has certainly placed me in the position of where I am today – a long meandering path through life from Drug Squad Detective to developing Pallatrax with my awesome wife, Tini. How often do you fish and what do you fish for? 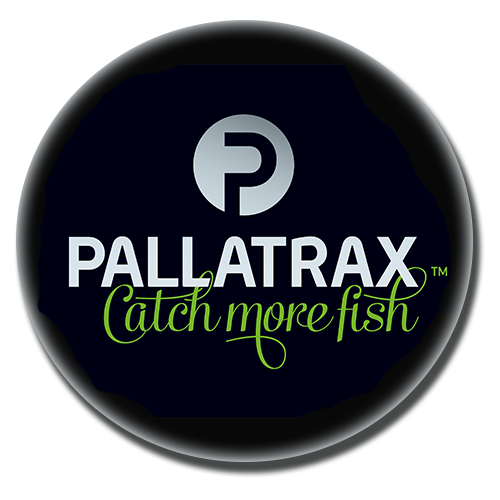 Fishing over the past few years has certainly had to take a back seat, with developing the commercial side of Pallatrax being my business priority. I’ve been happy to sacrifice fishing time recently as to be honest historically, and especially when running my own fisheries, it was most days! 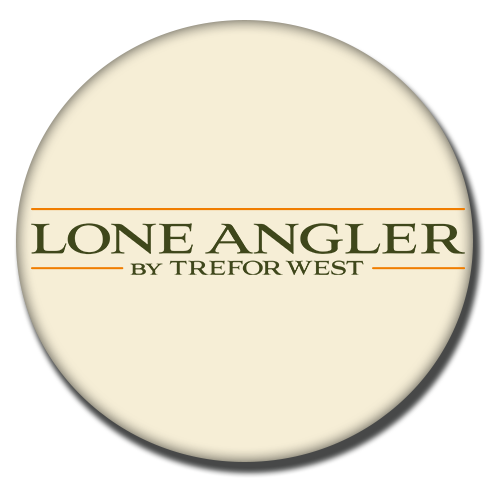 I like to get out most months for one 24 hour session carping, and one days perch fishing for the stunners that inhabit my local water, Upper Tamar Lake. I’m also lucky that some work days involve fishing and who am I to argue if I have to fish for work!? Whatever swims I’m happy to catch, and nowadays that covers just about all the UK species. I do love big perch on light gear and a particular favourite is fly fishing for carp on the surface – simply awesome! What do you think are the most pressing issues in angling today? I’ve never been worried about sticking my head above the parapet and the more I got involved in fishing from a business point the more vocal I have had to become. I’ve never been one to hide from issues and with a plethora of negative areas now effecting our beloved sport it is a worry. 1. Terrible quality baits that have been bought to the market with no thought of the impact they have on the water’s general biomass. We concentrate too much on easy fish issues whilst ignoring that this awful bait is harming substrate life and therefore everything that lives in the effected waters. Boilies being made from synthetics and flour will cause water issues and until we get baits regulated fish and biomass life forms are in jeopardy. 2. Staying within the same theme – pellets. In many cases the name gives it away e.g. halibut, trout, marine etc. Pellets that have been developed for other species with oil content far above the accepted 15% that coarse fish can deal with and include ingredients that can be harmful. Real issues with real facts supporting that many pellets on todays market are not fit for use within angling and have not been developed for coarse fish. Again we need to consider what impact this is also having within the biomass – evidence points at it being not good! 3. Cheap bait – you get what you pay for in life and this tends to go with bait. Answer the question that a kilo of boilies cost roughly the same, and in many cases a lot cheaper, than what it did 15 years even though the good quality ingredients now cost far more? What is in many modern baits – I dread to think! 4. Predation – this has become such an easy target to focus on whilst other far more important issues are totally overlooked – reminds me of modern day politics. Many now look on certain life forms, namely otters and cormorants, as total evil when in fact these problems are bought to us by the meddling of man. Humanising anything has dangers and for parties to factor on topics that we are both to blame for and will never be able to control is a real worry. 5. Numbers in our sport – This could well be the main priority as numbers drop each year as less and less juniors fail to fill the void left by the seniors. No one with any influence seems to be doing anything cohesive to rectify and this leaves me dreading where we will be in ten years time. 6. Trade gimmicks – Mortified and embarrassed when each month I see a company produce products that has nothing to do with helping you catch more fish – in fact many appear to just the opposite! 7. Dropping of leads – Illegal, reckless and downright stupid. Those individuals and companies that have promoted such should be held accountable for the tons of lead that now litters our water ways, the environment our fish live in and ultimately our drinking water. I hate to admit that the industry I work in has totally ignored a topic that has the potential to haunt us in the years ahead – we should be asking WHY this is allowed to still happen, WHY companies and individuals feel it their right to promote an illegal act and WHY nothing is being done to stop it before it goes pass the point of no return, if it hasn’t already?. The ‘worm’ is turning and if and when this comes to the notice of the general population I wouldn’t be surprised to find angling further under the anti’s spotlight and court cases against the offenders. Give us some PB stats – what are you most proud of and why? I’ve never been one for PB stats and only in recent years have I started to take photos and weigh fish due to the features I write. 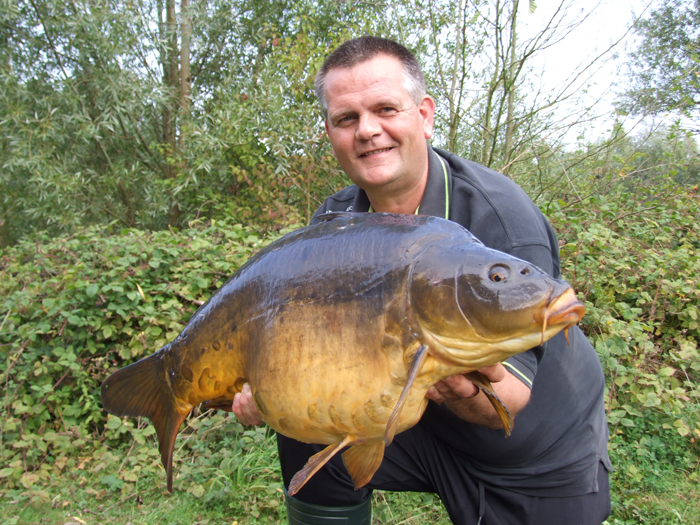 There are so many occasions that have given me reasons to be personally ‘proud’ from catching 29 double figure carp on my fly rod in 3 hours through to my first fifty pound carp – caught for the Mr Crabtree cameras! What are your earliest fishing memories? Who taught you? This is an easy one! Standing on a tiny bridge over a small burn in Scotland doing everything I could to catch Sticklebacks on my Woolworths set up – I was five and to this day that is a memory that never fades in time. Strange but no one in my family has ever been into fishing so where the ‘thirst’ came from is a mystery but resulted in being self taught! Possibly the single biggest influence was the Fisherman’s Handbook series which encapsulated all types of angling and the environment that we fish in. Though somewhat tatty I still read these uncontrived writings to this day, and still learn from them. Books and magazines from this era certainly formed my angling and I always seek out titles from the 60’s and 70’s when fishing was more of a hobby than the big business it has become today. How influential has Mr Crabtree been in your angling life? Like all people my age, I grew up in the Mr Crabtree era and will never forget reading the cartoon strips. Cartoon strips were certainly much more ‘vogue’ than they are today with all areas of life, especially war cartoon mini magazines, so a fishing one was to be expected. I think what really surprised, and still does to this day, was the incredible success of Mr Crabtree in this format as without doubt it swayed millions, through drawn pictures, to embrace fishing in a way that has never been seen since and something impossible to replicate. Who would think that a series of fishing cartoons would have such an impact and will continue to do so long into the future through the recent series and further ones planned. Is there anything in fishing that you haven’t done? What are your ambitions? 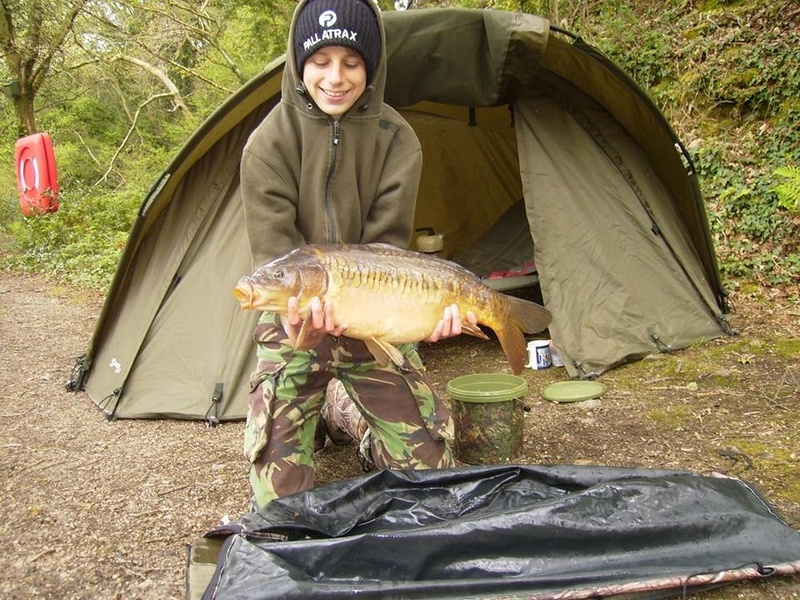 Loads, but my main ambition is to be in a position to actually take my sons; Jack, Ben and Charlie on the same angling adventures I did as a youngster. Fortunately they see beyond FIFA 2015 or Zombie Death Squad (sometimes with my help!) and love to go, but Dad never seems to have the time! Do you have any angling heroes? What do you most admire about them? Heroes is a strange word for me to try and associate with angling. The people I admire tend to be out of sight and therefore out of mind – the anglers that help the juniors, the disabled and the less fortunate in fishing. They give up days for little reward or recognition to help our sport on a level many of us could never do – these are the anglers, these are the people I admire, so in this context they are the real heroes and certainly not the odd privileged angler who has caught a few big fish! 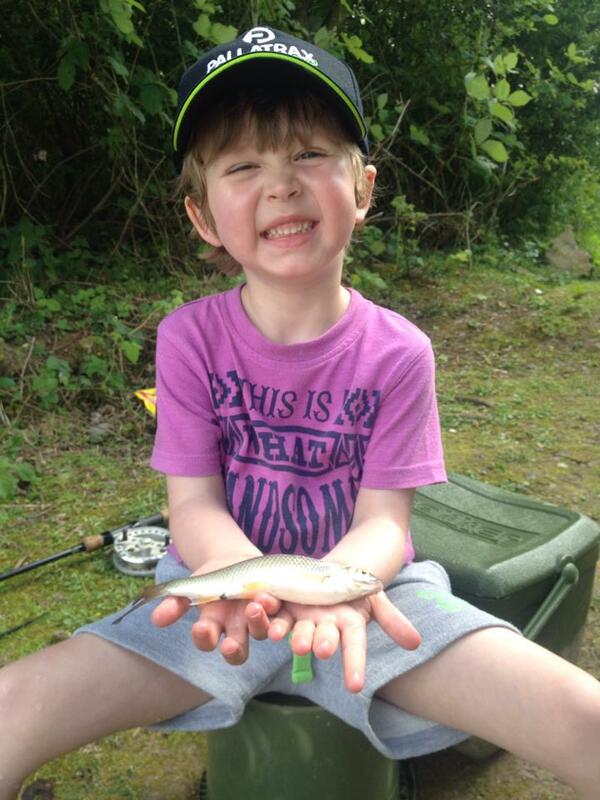 What lessons would you pass on to today’s young anglers? 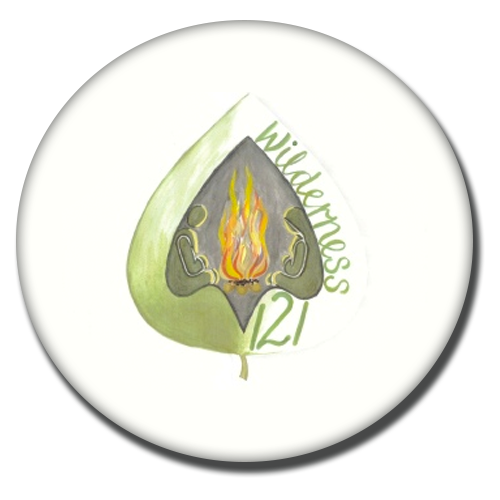 Enjoy angling for what it really is – an adventure which can continue throughout your whole life. Exciting, fun and full of like-minded individuals that will give you far more real memories than playing Xbox will ever be able to do! In caution, don’t believe in the politics or media spin and it certainly is not all about the person who catches the biggest is the best. In my mind the better anglers are the more consistent, but at the end of it all just enjoy fishing as a fantastic hobby that allows you to see so many aspects of nature first hand. Houghton Mill, on the Ouse near Cambridge was possibly my favourite angling spot as a kid and only recently, after 35 years, I revisited with my wife. I’ll always remember float fishing off a concrete edge and seeing my worm float fished offering taken by a perch of about a pound – my first ‘real’ perch and at that stage in life it was HUGE!